Is Colorado's seat belt law strong enough? 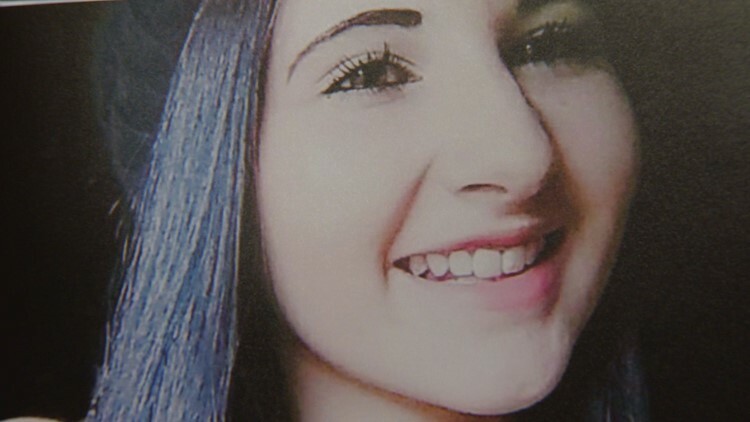 The mother of a 16-year-old girl who was killed in a crash is now an advocate for seat belt use, specifically for passengers in the backseat. EVERGREEN, Colo. — Twice a day on her commute to and from work, Raeann Hern passes a familiar curve on Highway 74 near Divide View Road. Each time she does, she said she remembers the worst night of her life. “I think about it every time I drive by,” she said. “I know where she was. I know where the car was. I know exactly what happened. She remembers the phone call vividly. A little after 7 p.m. on Jan. 20, 2018, the young man who was driving her daughter called to say there had been an accident. The Chevy Cavalier had rolled. 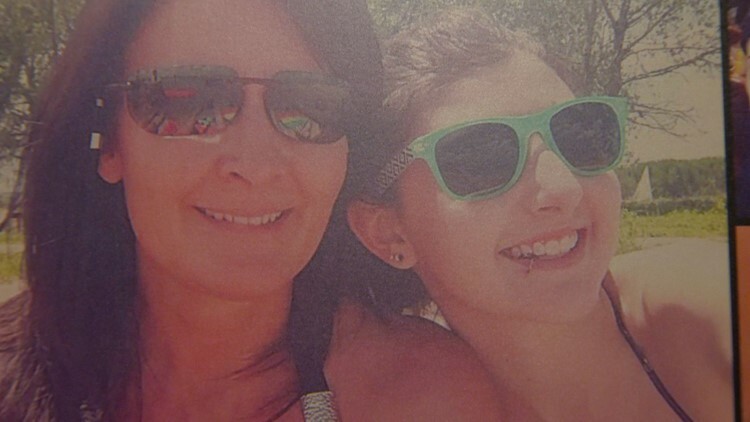 Her 16-year-old daughter Rachel was hurt. Rachel Hern, 16, was killed in a rollover crash in Evergreen in January 2018. She wasn't wearing her seat belt. RELATED: Poll: Do you always wear your seat belt in the backseat? Raeann Hern rushed to the scene, but soon learned her daughter had been already transported away by ambulance. When she got to Saint Anthony’s Hospital in Lakewood, she learned the worst. “When I got to the hospital. the doctor said, 'You know this is the worst of the worst,” she said. “We don’t know… she didn’t have and vital signs, she was brain dead before getting here, but we’re actually getting vital signs so we need to do emergency brain surgery,” Hern remembers the doctor telling her. In shock, she could barely understand what she heard next. A victim’s advocate for the Colorado State Patrol told the mother that her daughter had been riding in the backseat and had been ejected out of the back window. Hern recalls that representative told her Rachel’s body may have been moving at about 80 miles per hour when it broke through the glass. The high schooler was not wearing her seat belt. 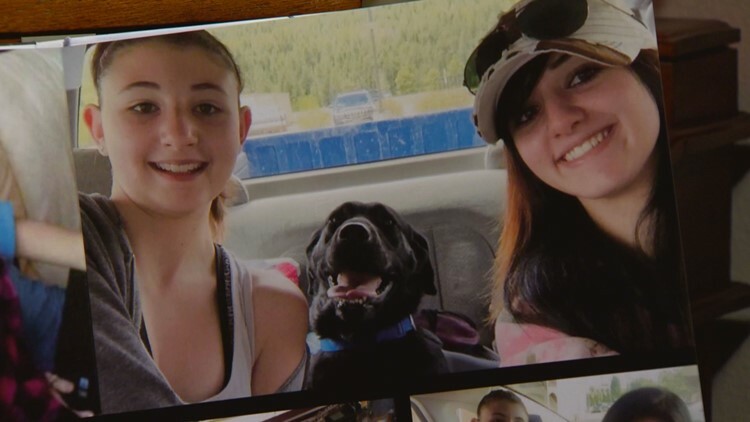 “Rachel always wore her seat belt for the most part,” Raeann Hern said. “I mean she was very afraid of speed, always would tell me, 'Mom, make sure you’ve got your seat belt on." What Rachel was doing was within the law. Colorado’s seat belt statute doesn’t require riders to wear seat belts in the backseat if they are 16 years old or older and are driving with someone over the age of 18. “I really didn’t know the laws,” Hern said. And the mother certainly isn’t alone. The random sampling of people who 9NEWS spoke to while putting together this story didn’t seem to have a solid understanding of how Colorado’s seat belt laws work. In Colorado, all passengers in the front seats are required to buckle up. If a driver is younger than 18 years old, all passengers are required to buckle up, regardless of where they are sitting in the car. But if the driver is over 18 years old, passengers riding in the backseat don’t have to wear seat belts. And all of Colorado’s legislation are what’s known as secondary enforcement laws: A police officer can’t pull a car over simply because someone isn’t wearing a seat belt when they should. The only time an officer can issue a seat belt citation is if they pull over a vehicle for something else and notice passengers aren’t buckled. Colorado is one of the worst states in the country for seat belt use. 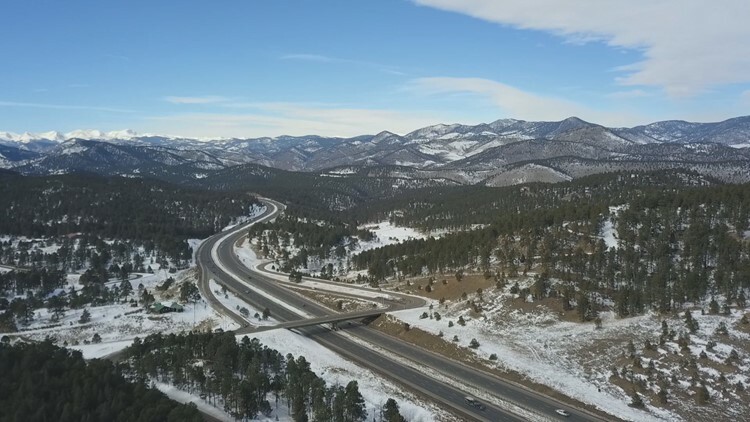 The latest survey of drivers in Colorado conducted by CDOT in 2018 found 86 percent of Coloradans use seat belts -- below the national average of 90 percent. In 2018, Colorado ranked 40th out of the 50 states for seat belt use, according to Cole. And Cole said the 14 percent of people who don’t buckle up account for more than half of the fatalities in passenger vehicles in Colorado. In 2018, for instance, 403 people died in passenger vehicles in Colorado. Of those people, 215 were not wearing seat belts at the time of the crash. Cole said those numbers are preliminary, as some crashes remain under investigation. And each year, Cole said, about 30 of those unbuckled deaths happen in the backseat. In the past, CDOT has advocated for a primary enforcement seat belt law for all seats, but several state legislatures have rejected the idea. Colorado is one of 15 states with secondary seat belt laws. Forty-four other states have some form of primary enforcement. New Hampshire is the only state in the country without a seat belt law. When primary enforcement laws have been proposed in the past, they face opposition from both sides of the aisle at the state Capitol. Many say primary enforcement laws equate to government intrusion into private affairs. Others fear racial profiling with primary enforcement laws, though studies of primary laws in other states vary on whether there is a racial disparity in enforcement of seat belt laws. State Rep. Hugh McKean (R-Loveland) told 9NEWS Loveland Police Officer Bob Ticer approached him asking him to carry a primary seat belt law at the state legislature, but the libertarian-minded assemblyman refused. 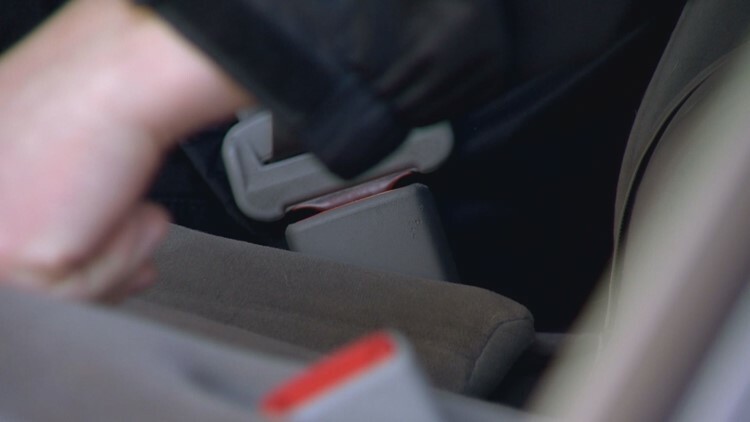 McKean said he agrees the number of unbuckled seat belt deaths in Colorado are concerning, but he isn’t sure it’s enough to strengthen the law. 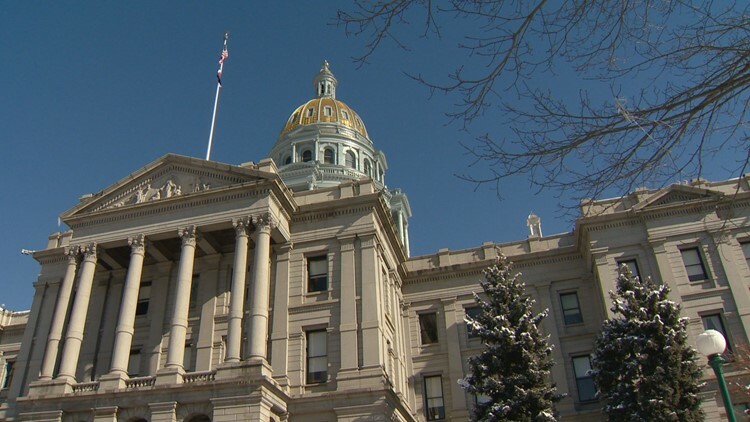 McKean also has concerns about how Colorado law enforcement would manage to enforce a primary law, as many departments are already stretched thin. “We already have a mandatory seat belt law, albeit a second offense, what would happen if we simply publicize that more and say this is the law as it stands and this is the penalty that could be imposed on you if you don’t wear your seat belt,” McKean said. 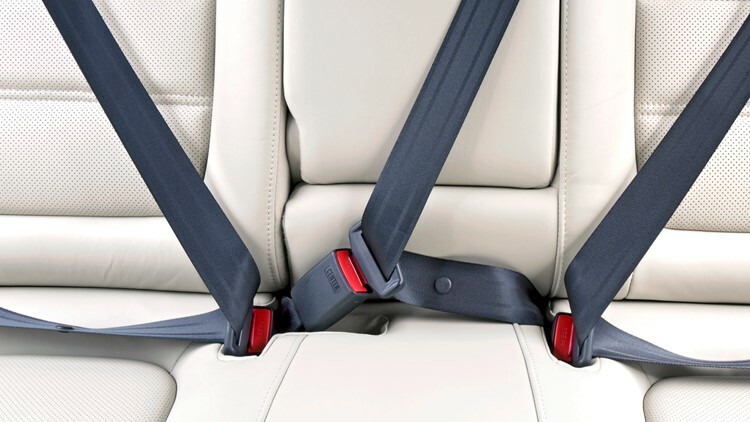 A stock photo of seat belts in the backseat of a car. “We know in Colorado that if we just increased our seat belt use about 5 to 10 percent, we would save 20 to 25 people every year in traffic crashes,” Cole said. The National Highway Traffic Safety Administration considers primary seat belt laws a best practice to reduce traffic deaths. States with primary enforcement average about 92 percent seat belt use, according to a study by NHTSA. Year-to-year, Colorado’s seat belt use ranges from 80 to 86 percent. A photo of Rachel Hern and her mom, Raeann. Her mother will never know if Rachel would have changed her mind that night if the laws had been different. Rachel Hern was taken off life support three days after her accident. She died on Jan. 23, 2018. “When you lose a child or someone significant to you and it’s such a quick death… you go through almost like you’re floating,” Raeann Hern said. Through counseling, the grieving mother realized she suffered from post-traumatic stress disorder following the crash. She said she’s had to work through that condition each day. Rachel Hern is remembered as a good friend who was always there to lend an ear. After her death, her mother began to realize the true impact her daughter had on the world and her community. “I actually had kids come to me and say, ‘She saved me. I was in the process of committing suicide and she talked me through it,'” Hern said. After her crash, her mother used Rachel’s story to continue that impact. Her friends made bracelets to remind their peers to buckle up. And Hern said she still speaks to teens and reminds them to speak up if they feel unsafe in a car. “It only takes a second to make the wrong choice, and it can affect your life for the rest of your life or somebody else’s and you really don’t want to do that,” she said. The man driving the car Rachel was riding in, Daltyn Hollon, 21, recently pleaded guilty to vehicular homicide. Court records show the car was speeding around that curve on Highway 74 at the time of the crash. Hollon is scheduled to be sentenced in March.